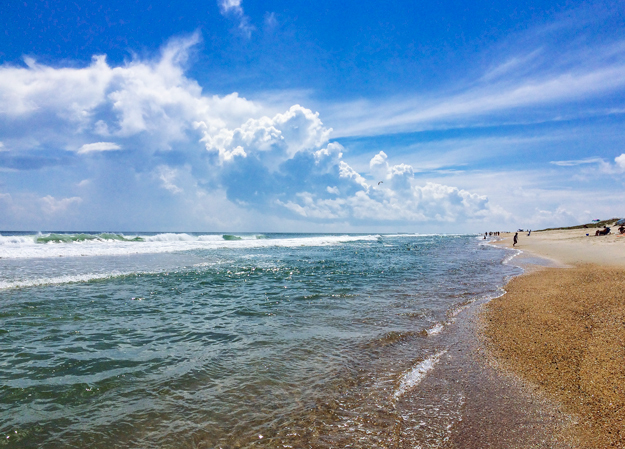 Hatteras Island Beaches Win More Accolades – Dr. Beach names Buxton #6 Beach in the Country! Miles of pristine uncrowded seashore regularly land Hatteras Island beaches on top 10 lists and this year is no exception. Dr. Beach just published the 2018 results for the country’s top beaches and Buxton Lighthouse Beach came in at #6! Dr. Beach is Dr. Stephen Leatherman – Director of the Laboratory for Coastal Research at Florida International University. He has a Ph.D. in Environmental (Coastal) Sciences from the University of Virginia. He developed 50 criteria to rate each beach and since 1991 his top beaches list, released each Memorial Day weekend, has become very popular. Buxton’s Lighthouse Beach adorned with the iconic Cape Hatteras Lighthouse, was lauded for having “the best surfing on the U.S. East Coast” and it’s good swimming beach with lifeguards. Also noted were the excellent surf fishing and dynamic coast. 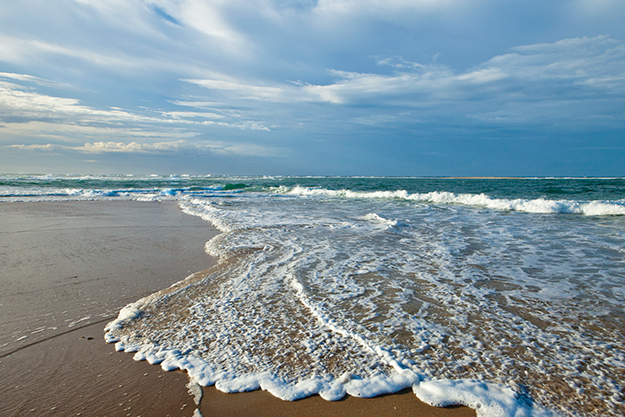 It’s no secret that Cape Hatteras Beaches are the best – if you haven’t already, book your premier vacation home today. Our Beaches are Wide Open – Come Enjoy Memorial Day Week on Hatteras Island! Besides all of the fun amenities offered in your premier vacation home, there is a lot to do to celebrate the unofficial start of summer, this upcoming Memorial Day Week! For a full list of events check out our event calendar. H2OBX waterpark opens for the season Saturday, May 26th – if you haven’t purchased tickets be sure to get them through Surf or Sound to get the best rate available! Rock the Cape’s Island Art Show will be held from 10:00 – 4:00 on Monday, May 28 in Rodanthe at the Rodanthe, Waves, Salvo community building. Admission is FREE and ALL are welcome to this indoor / outdoor community event. Over 25 local artists will be on site vending their goods~ this is your chance to meet & support them! On Monday, May 28 culinary arts arrive to Rock The Cape, for the first time since its inception, with A Taste of Hatteras. From 5pm-10pm, guests that attend A Taste of Hatteras can enjoy delicious island-inspired cuisine from a variety of local restaurants. The event will also feature a concert on the sound, headlined by The Joey Harkum Band from Maryland. Virginia Beach based reggae band SoPoz and local Hatteras band Blurky’s Quirky Friends and Hatteras musician Steve Vang will also be playing at A Taste of Hatteras. 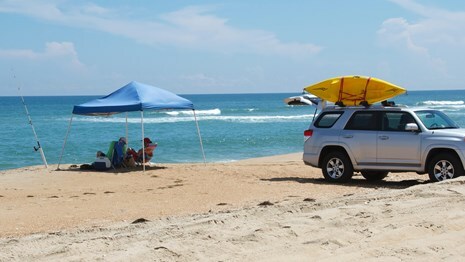 The Cape Hatteras Seashore offers a variety of recreational activities, including beach recreation, off-road vehicle (ORV) use*; surf fishing, boating, and piers; lighthouse climbing; interpretive programs with a park ranger; hiking; kayaking; watersports (surfing, windsurfing, kiteboarding, etc. ); and wildlife viewing. Barrier Island Dynamics, 10:30 am to 11:00 am. How do people, plants, and wildlife adapt to barrier island geologic change? Meet at the Hatteras Island Visitor Center Pavilion. 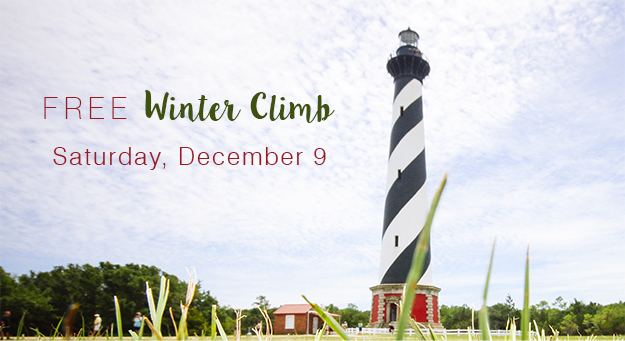 Cape Hatteras Light Station Talk, daily from 3:30 pm to 4:00 pm. Discuss the details and history of this beautiful sentinel. 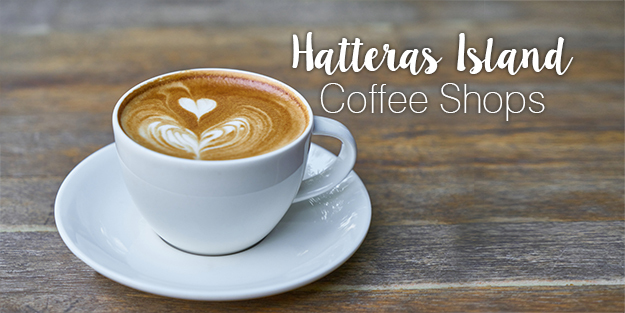 Meet at the Hatteras Island Visitor Center Pavilion. Fish with a Ranger, Monday (Memorial Day) from 8:00 am to 9:30 am. We have poles, you bring the bait. Pre-register in person at the Hatteras Island Museum (or call 252-475-9622) this Saturday. *Currently, there are over 25 miles (more than 90%) of Off Road Vehicle beach routes available to enjoy. Over the last several years, the park service has worked to improve access and constructed multiple new ORV ramps. While one area at the southernmost tip of Cape Point is currently closed to protect shorebirds, ORV users can still access a large area towards Cape Point and north of Ramp 43. And the miles of beaches in front of the villages are wide open for non-motorized activities, along with 20 more miles spread across the Seashore. For daily beach access updates check the Cape Hatteras National Seashore’s Facebook and Twitter accounts. Family vacation memories – finally catching the big one, the sky on fire that time you stayed on the sound, the kids having the time of their lives playing in the waves – no matter how well you can recall these times in your mind, a moment perfectly captured on camera can take you back and help you share some of the most cherished moments of your life. Are you ready to kick your photography up a notch? Daniel Pullen, Hatteras Island’s very own professional and award-winning documentary photographer is offering a number of classes, workshops and walkabouts this spring and summer. In their fourth year, these classes are professional, fun, non-intimidating and suitable for beginner and intermediate photographers. Learn how to use camera technique and composition to create timeless photographs that resonate with viewers. In these small group workshops and walkabouts students receive 1:1 instruction and critique, as well as group field work and group discussion. Classes combine in class instruction with field work on Hatteras and Ocracoke Island and range from 2 hour weekly classes, 3 hour photo walkabouts, to 1-3 day weekend workshops. Then, if you haven’t already, book your premier accommodations with Surf or Sound Realty! 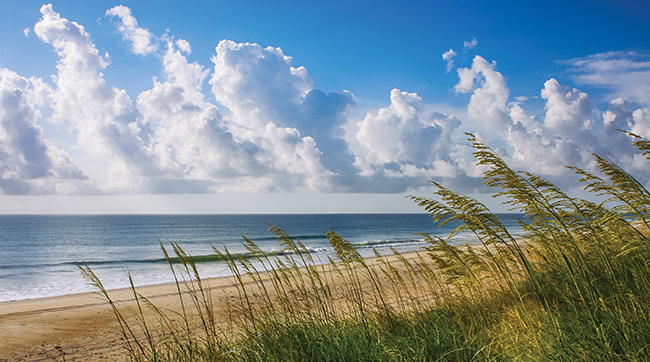 The laid-back beach lifestyle of Hatteras Island hasn’t changed in all the years. It’s still an environment that is tranquil, slow-paced, family-oriented and steeped in tradition and history. “We hear it all the time. From the un-crowded beaches to the family-owned shops and restaurants, the authentic experience our guests have vacationing on Hatteras Island is one that’s hard to find these days. 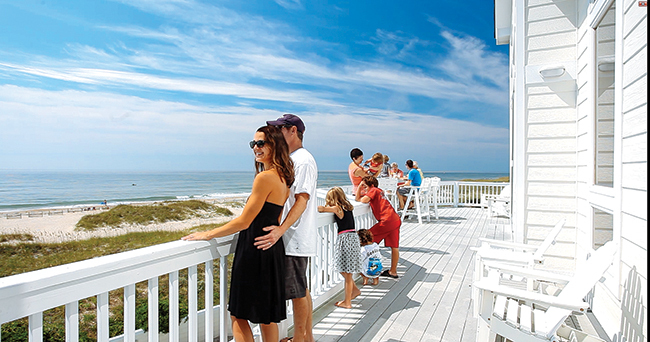 The fact that we can offer a premier vacation home experience in our remote location on the beaches of America’s first National Seashore is pretty special” said Ann Wood, Vice President of Sales and Marketing for Surf or Sound. That doesn’t mean that progress has passed the island by. Rental homes have seen change with the addition of modern amenities and luxurious conveniences. Visitors who have gathered on the island for years have rented increasingly larger vacation homes to accommodate their growing families. New generations now carry on vacation traditions but with amenities their grandparents couldn’t have imagined, like home theater rooms with stadium seating, private swimming pools with kiddie pools and swim-up bars, and outdoor entertainment areas with tiki bars. Advances to technology have made an impact on the business as well. Booking a home once meant calling a reservation agent who “booked” guest reservations by logging them in an actual book. 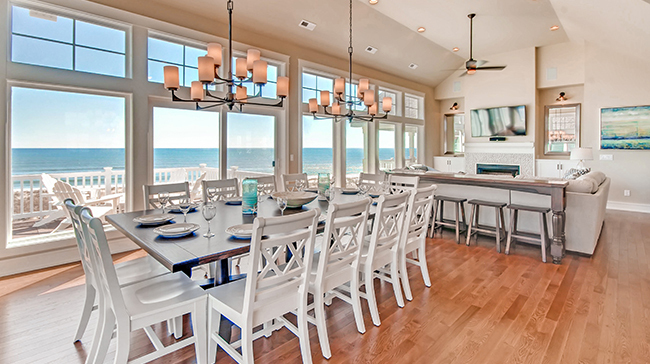 Now vacation homes can be reserved on SurforSound.com with just a few clicks at any time of day or night. Whether you have only just begun your Hatteras Island vacation tradition, or you have been vacationing with us for many years. 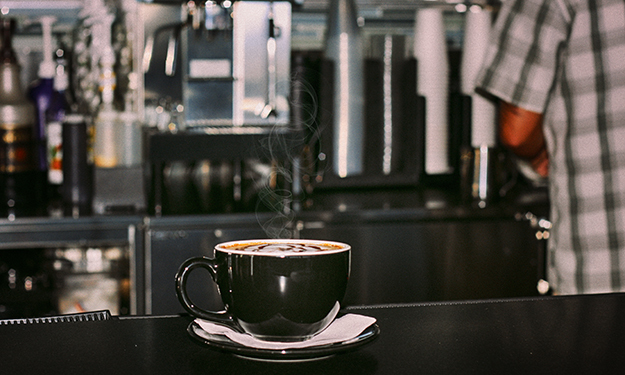 Thank you for your business – we appreciate each and every one of you. Helping you to make treasured vacation memories has been our pleasure!